Dabbing has hit the UK, with cannabis extracts becoming more popular and widely available. However, a lot of cannabis users have yet to try a Nectar Collector, an exciting and efficient new way to consume cannabis extract. Think of a Nectar Collector as a glass water pipe – it’s as simple as heating the titanium or glass tip and you’re good to go. While you will still need a blowtorch, the heating process is a lot quicker when using a nectar collector compared to when you consume cannabis using a traditional dab rig. This is because the heating ‘tip’ on the nectar collector is a much smaller than the surface area of the average nail. So efficient, in fact, that I have achieved the required heat in under 30 seconds using a £10 creme Brule torch from Amazon! The nectar collector ‘sets’ often include the main pipe and tips (some contain glass and titanium while others may have just one or the other), plus a clip to hold in the tip. I personally prefer the glass tip but they both work just as well. 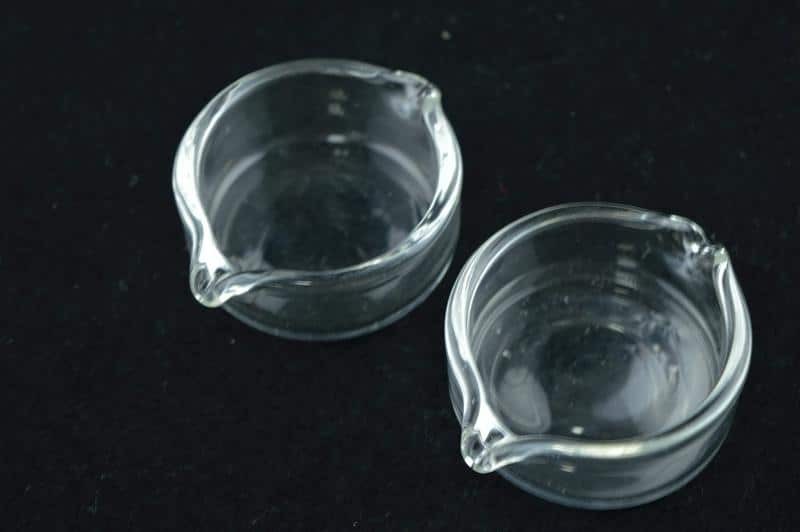 The set should also include a glass dish, which you will use to consume cannabis extract from. Another great thing about using a nectar collector to dab cannabis extract is that whatever you don’t get in the hit remains in the glass dish, meaning nothing is wasted! Place your extract in the glass dish. 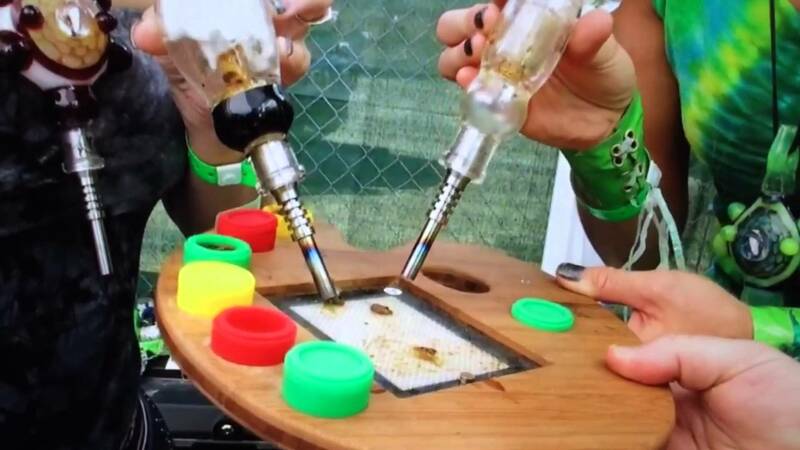 You can use a dab tool to transport it from your container if necessary. Now heat up your nectar collector (just the tip) with a blowtorch until it is glowing red Safety tip: remember this will be – and stay for a short time – very hot. Do not touch or allow it to come into contact with things that may melt/burn/set on fire. 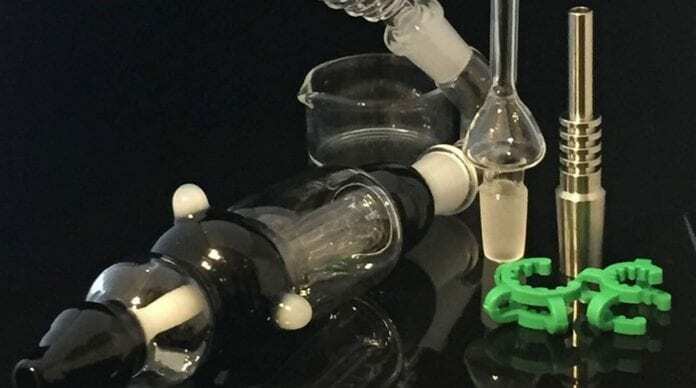 Once it is hot enough, simply breathe in through the mouthpiece enough to start the water bubbling and place the tip over the cannabis extract. You’ll get the best hit when you get it at a 90-degree angle from the glass dish bottom, achieving the same sort of effect as a carb cap. Re-heat and inhale any extract you may have missed! You can clear water from your spill proof Nectar Collectors with fixed mouthpieces by removing the tip and blow down through the mouthpiece. Hold the Nectar Collector horizontally while heating to avoid leaks from any residue that may be inside the tip from the last dab. To heat the tip quickly heat the tip with the top of the blue flame where it meets the yellow flame (the hottest part). The advantages to using a nectar collector over a traditional dab rig are portability (the nectar collector sets often come in boxes with foam for easy storage / moving from place to place) and the time it takes to heat the tip, which is shorter than a traditional ceramic, quartz or titanium nail. 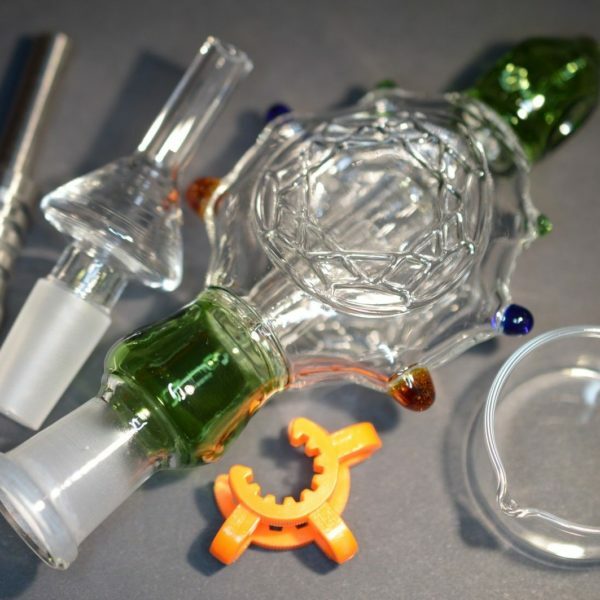 Some people use mats and dab from them directly (as shown below) – the acrylic mats can take high temps but I have only used a glass dish for dabbing using my nectar collector. In the future I hope to stock these at www.ismokeshop.co.uk – however, I want to make sure I have a good glass supplier, so they are not currently in stock.